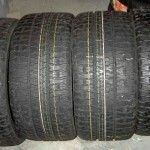 Very Deep Directional Tread for Excellent Traction in deep snow and on wet pavement too. 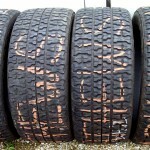 These tires are meant to be used in sets of 4 for the ultimate in winter traction. *Winter Tires can be used year around but they will wear down faster in warmer temperatures due to soft tread compounds which are made to be pliable in below freezing temperatures.